The full review can be read here, courtesy of the reviewer, Mandy Collins of www.spookyisles.com, and of the peerless Fortean Times. This entry was posted in Promotional and tagged fortean times, poltergeist over scotland, reviews, spooky isles on 30/05/2013 by Jamie Cook. Back in the day, I enjoyed many a talk (at Fortean Times UnConventions and elsewhere) by the Rev. Lionel Fanthorpe, the President of ASSAP (Association for the Scientific Study of Anomalous Phenomena) and the former President of BUFORA (British UFO Research Association). Among his 250(!) books, many written in conjunction with his wife Patricia, my favourite is an in-depth study of that enduring Fortean enigma, the Oak Island Mystery. 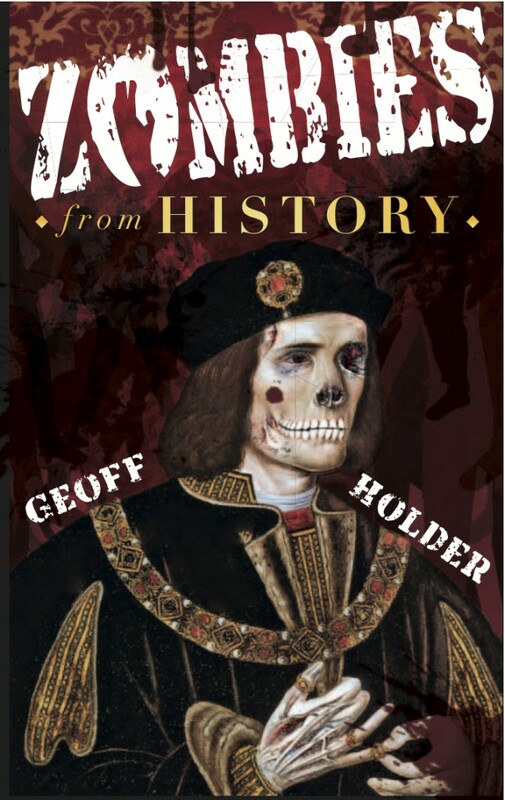 Geoff Holder already enjoys an excellent reputation as an author specialising in history and mystery – and The Jacobites and the Supernatural enhances that reputation yet further. What he has done in this highly readable and informative book is to take the reader through the period from 1689 to 1745 and the grim battles of Culloden, Sheriffmuir and others. He has also brought the Jacobite period vividly to life again with accounts of witchcraft, talismans, sorcery, psychic phenomena and portents: all of which coloured Jacobite society. Geoff takes the reader to fascinating sites and locations including Lord Pitsligo’s ruined castle at Rosehearty, Blair Castle, Loch Rannoch, Dunkeld and Eilean Donan Castle. He introduces the reader to many larger than life characters of the Jacobite period: James II, Louis XIV, Viscount Dundee, Duncan Forbes and the beautiful Mary of Modena. All this relevant and worthwhile historical and geographical material provides an ideal background for the accounts of the anomalous and paranormal events which make the book so interesting. 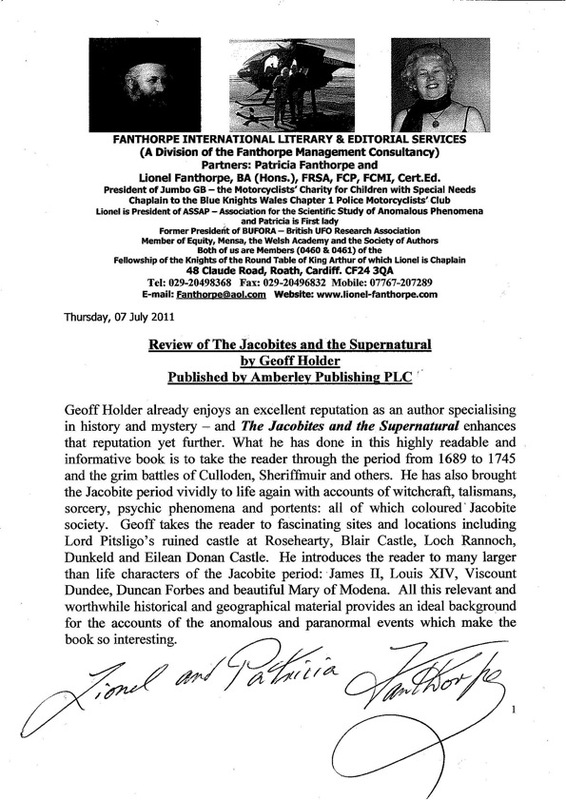 This entry was posted in Messages from Geoff and tagged Folklore, fortean, ghost, history, jacobites, Paranormal, reviews, supernatural on 27/07/2011 by Jamie Cook. The most recent edition of Fortean Times contains a top-hole review of The Jacobites and the Supernatural. 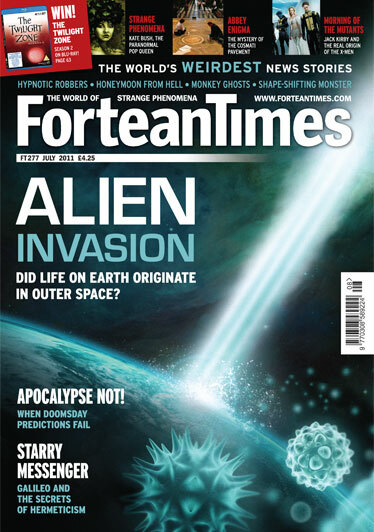 As any fule kno, Fortean Times is the world’s leading magazine for strange phenomena, and has been my rock and benchmark for more decades than I care to recall. Holder has written a number of guides to regional folklore and legends, but this book takes a novel tack, focusing on the ill-fated Jacobite risings of the late 17th to mid-18th centuries. Here are tales of witchcraft, spirits, prophecies, prodigies, portents and curses that followed Bonnie Prince Charlie and supporters of the Stuart cause. Of course, there are battlefields, castles and dwellings (a surprising number of them in England) with ghosts, poltergeists, fairies and grisly murders – but there is quite a bit of human interest too. For example: the dashing young ‘Bonnie Dundee’ Graham who was reputed to have sold his soul to the Devil and died by a silver bullet, and the Young Pretender himself who was said to have ‘impressed’ his good looks upon an unborn child. Here too, we learn how the ‘touching rite’ (believed by many at the time to be a sure cure for scrofula) was introduced to British royalty and used politically by the Stuarts as a proof of a legitimate king, and how many of the marvels of superstition, witchcraft and folklore were exploited by propagandists on all sides. Great stuff, well written and illustrated. 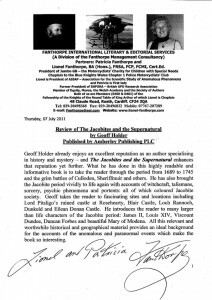 This entry was posted in Messages from Geoff and tagged fortean, ghosts, Haunted, jacobites, reviews, supernatural on 30/06/2011 by Jamie Cook.